As you will see, the story tells of the challenging life of Marks JCH client Galia Sarah Solts. Galia, now 72 years old, was forced to hide her Jewish identity during her childhood in the former Soviet Union in order to survive. Born in 1946 Galia grew up in Vorkuta, Russia just miles away from the labor camp her father was sent as a political prisoner under Stalin’s regime. Galia’s father, a decorated soldier for the Russian army, returned home as an active dissident smuggling Jews from Poland to Israel immediately following the end of WWII. Following her father’s imprisonment, Galia and her family fled to safety in Tajikistan. Reunited in 1954 after eight years of separation the family settled in Russia where Galia was trained as pianist in local conservatories. Upon starting her own family Galia and her husband immigrated in 1980 to Rockland, Maryland searching for stability and fleeing Antisemitism. Galia began a second career in healthcare while living in Rockland and was embraced by the local JCC. After a challenging separation from her husband in 1991, Galia chose to immigrate to Israel where her parents and brother had settled a few years earlier. Galia fully immersed herself in life in Israel changing her name officially to Sarah, in memory of grandmother, and living her dream by teaching students her love of music as a piano instructor. Unfortunately, in 2011 Galia was diagnosed with leukemia which she beat into remission after a four year battle. 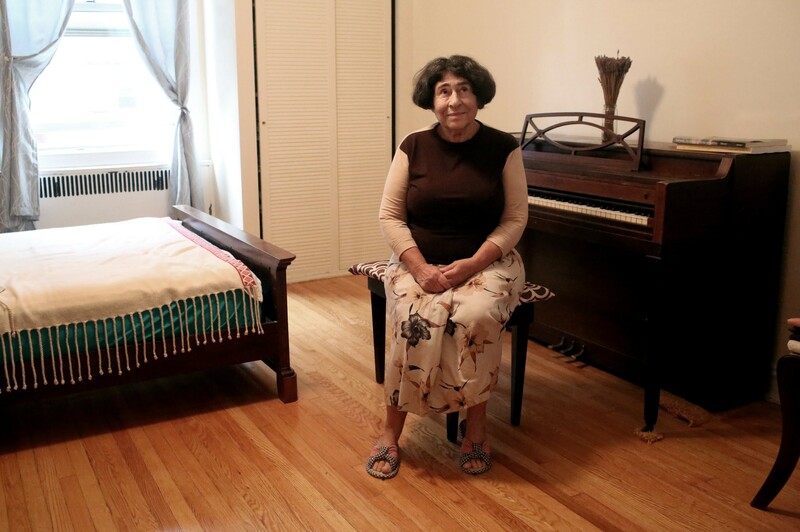 Following the deterioration of her health and wanting to be closer to her children and grandchildren all residing in the United States, in 2015, after 24 years in Israel, Galia re-immigrated back to the United Stated and settled in the Kensington section of Brooklyn. Upon settling, Galia found a Jewish community for herself at the Marks JCH. Galia quickly became a member of the Marks JCH attending senior classes, socializing with new friends, receiving critical case management support through our Social Services Center including acquiring government benefits, exploring housing options, assistance with correspondence and more. Unfortunately, in October 2017, Galia was diagnosed with lung cancer and underwent surgery. Though Galia worked hard over the years and was able to provide for her family, she did not create a deep enough safety net for herself and has no savings. The support Galia receives from government entitlements does not even cover one month of rent for her apartment in Brooklyn. Too frail to work for any supplemental income, the Marks JCH stepped in this past summer with emergency cash assistance for rent and utilities as Galia was recovering from her surgery and follow-up treatment. Galia’s story is representative of the hundreds of Holocaust survivors, WWII veterans, and isolated senior adults which the JCH serves annually. Providing a plethora of supportive services for frail and aging seniors in our community and beyond – inclusive of intensive case management with maintaining government benefits and entitlements, assistance with reparations re-certification, housing, accessing increasing levels of care as seniors age in place, handyman services to keep apartments safe and habitable, emergency cash assistance when in crisis, socialization and opportunities for cultural outings, end of life care planning and support and others. Through the provision of support services for seniors JCH has become the primary, essential, comprehensive safety net for the most frail and vulnerable of our community. It is always a privilege to do the sacred work of the Marks JCH, and in seeing the impact of our work on Galia’s life through the New York Times article, we are reminded why we must continue to do what we do each day. It is only together that we are able to lift our community as a whole and become a lifeline for the most in need amongst us. Special thanks to UJA-Federation of New York for continuing to solicit stories from the Marks JCH in their efforts to help raise funds for and awareness about the depth of need among our community members and clients.